A pretty pair of 18ct white gold earrings with comfortable hinge back fittings. 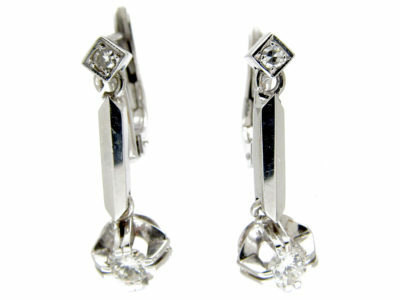 The large diamonds are half a carat each, and have a small diamond above each one. 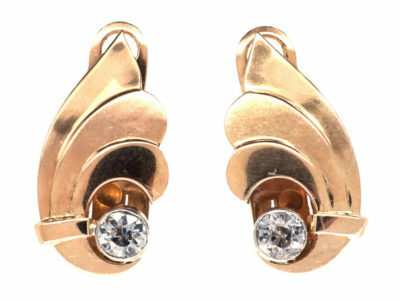 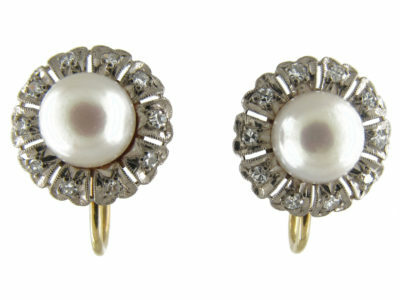 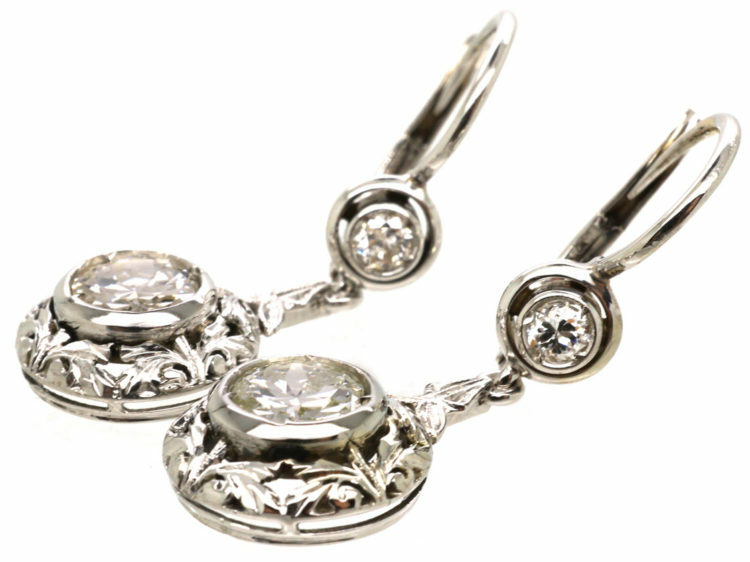 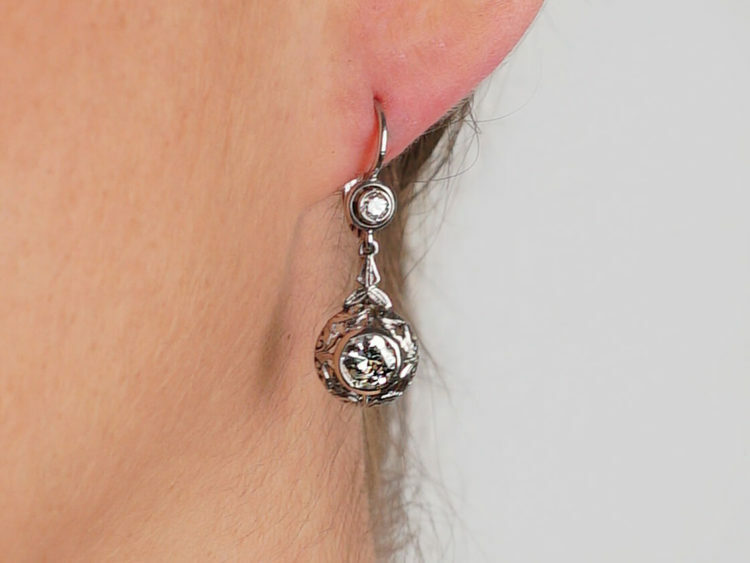 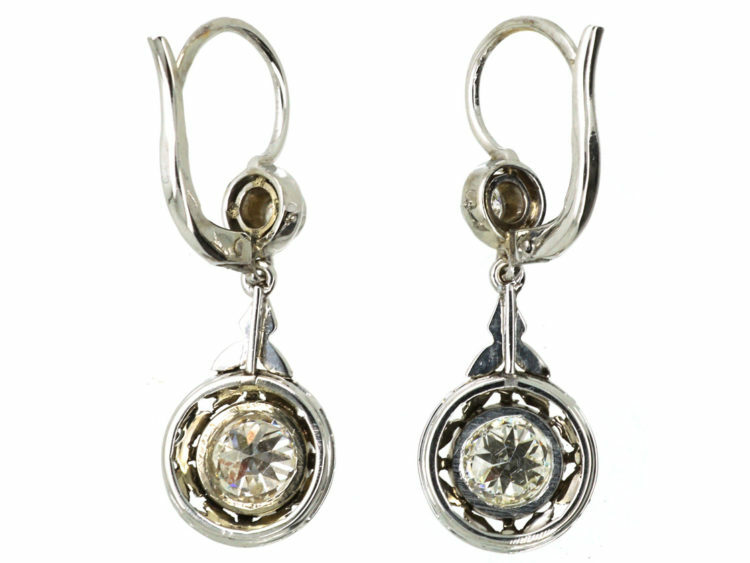 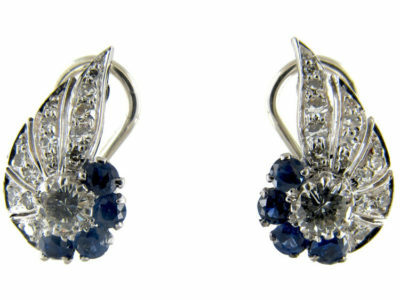 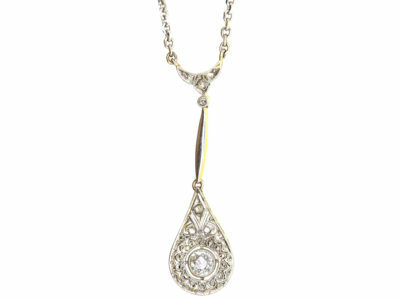 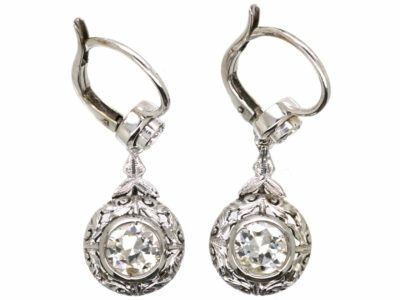 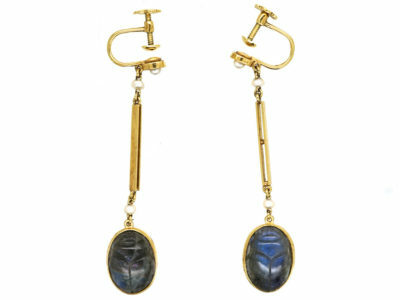 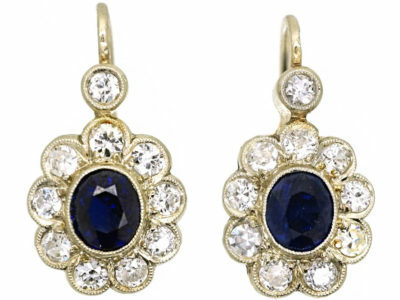 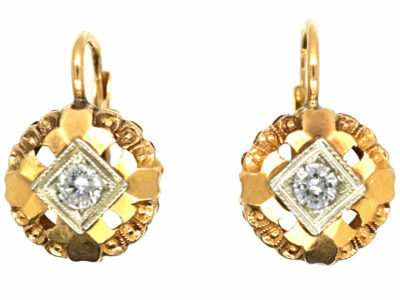 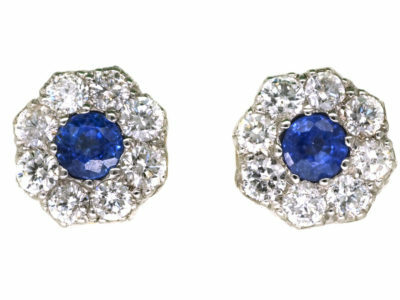 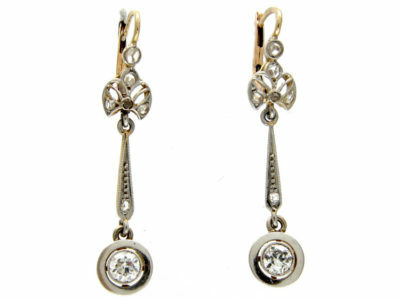 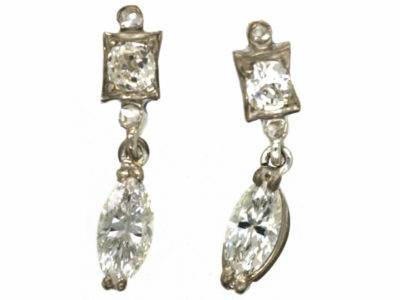 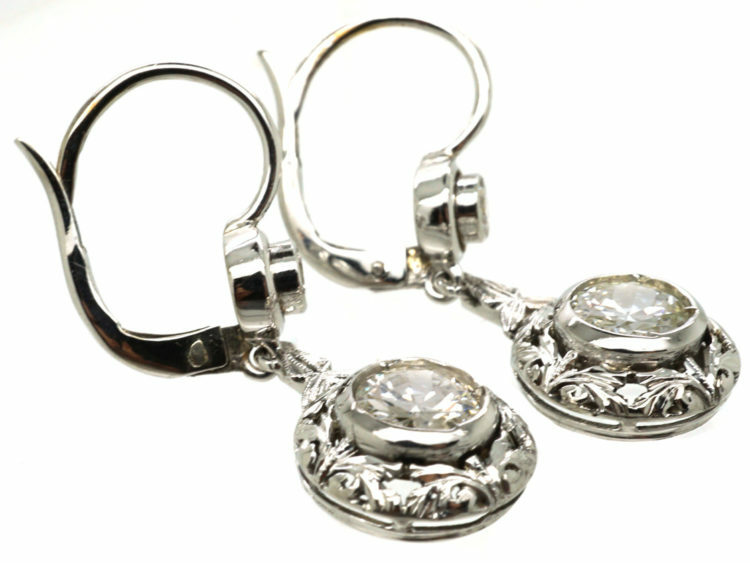 The white gold work has a pierced leaf pattern that gives the earrings a lighter look. 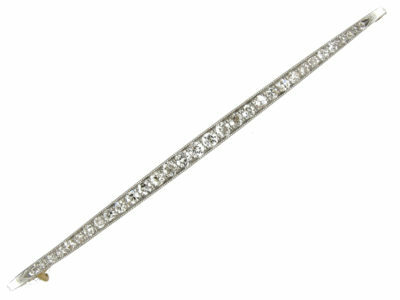 The length is ideal for both day and night wear.